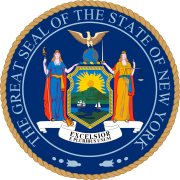 A former Governor of New York, Hughes won his home state fairly comfortably, taking 51.53 percent of the vote to Wilson’s 44.51 percent, a victory margin of 7.02 percent. Coming in a distant third was Socialist candidate Allan L. Benson, who took 2.69 percent, mainly among Jewish Americans in New York City. New York in this era was a Republican state in presidential elections; however in 1912, a strong third party run by former Republican President Theodore Roosevelt against the incumbent Republican President William Howard Taft had split the Republican vote, and had enabled Woodrow Wilson as the Democratic candidate to win New York State’s electoral votes in 1912 with a plurality of only 41 percent. With the Republicans re-united behind Charles Evans Hughes in 1916, and criticism of Wilson’s politicize already emanating from the Democrats’ Irish-American base,. New York returned to the Republican column, and delivered a fairly comfortable win to Hughes even as Wilson won re-election nationwide. 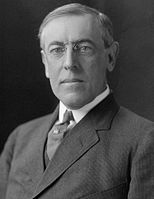 Hughes’ seven percent margin of victory made New York State a strong ten percent more Republican than the national average in the 1916 election. Nonetheless, this was the last occasion until 1964 that the Democratic Party carried Hamilton County, Schoharie County, Otsego County and Chemung County. Except for Chemung these were historically German or Dutch and usually Democratic rural counties that would turn permanently to the GOP amidst the fallout from World War I.
Hughes' victory in the state made him the second Republican presidential candidate to win New York without winning the election, the first was John C. Frémont in 1856 and the third was Thomas E. Dewey in 1948. 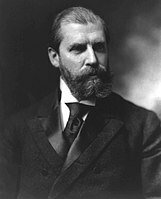 Hughes also became the first losing candidate to win the state since Samuel J. Tilden in 1876. ^ "1916 Presidential Election Results - New York". Dave Leip's U.S. Election Atlas. Retrieved July 27, 2013. This page was last edited on 15 January 2019, at 21:30 (UTC).